Keep your pet's toys and areas sanitized and fresh without worrying about chemical residue that can be ingested by their curiosity. 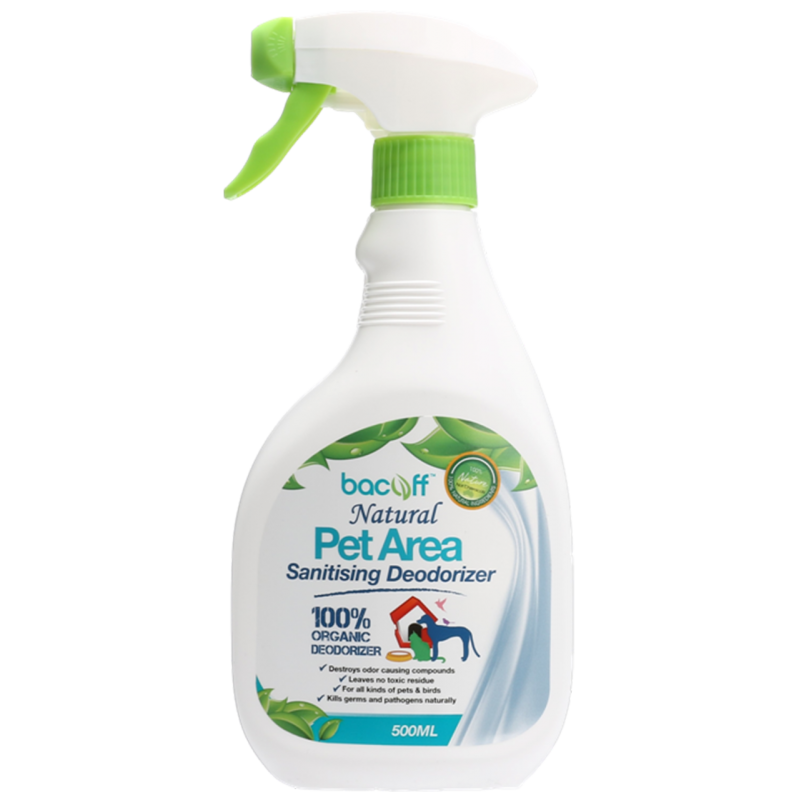 Made from 100% Food Grade Ingredients, it is safe for use in the presence of your pets or family members. Bioflavonoids, Glycerine, Natural Peppermint and Elderflower Extracts, Lemongrass Essential Oil and Pure Water. To eliminate pet related odors, spray in a sweeping motion across the room or pet area. Safe for use on hard surfaces. For fabrics and carpets, spot test on an inconspicuous area first. If odor persists, product has not reached the source. Reapply. For sanitizing cage and litter trays, mist lightly on the surface and surrounding air. For a deeper clean, remove soiled beddings, litter and other materials first. Generously spray the object surface and the surrounding air, allow surface to dry and replace with a new bedding. For sanitizing pet toys, spray on the toy surface and allow it to dry.